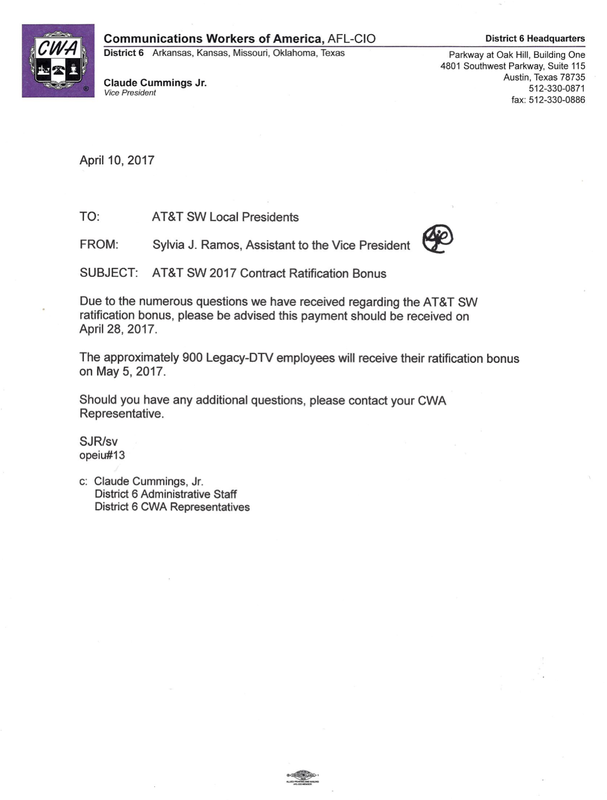 The Communications Workers of America has reached a tentative first contract with AT&T covering 500 DIRECTV Technical Service Center workers. If ratified, these 500 technical support workers in Alabama, California, Colorado, Iowa, Minnesota and Tennessee will join 1,500 CWA-represented colleagues already covered by the AT&T National Internet Contract. CWA District 7 Vice President Brenda Roberts said the members’ mobilization and solidarity from thousands of other DIRECTV workers who also have a CWA voice and representation made a big difference in the negotiations. 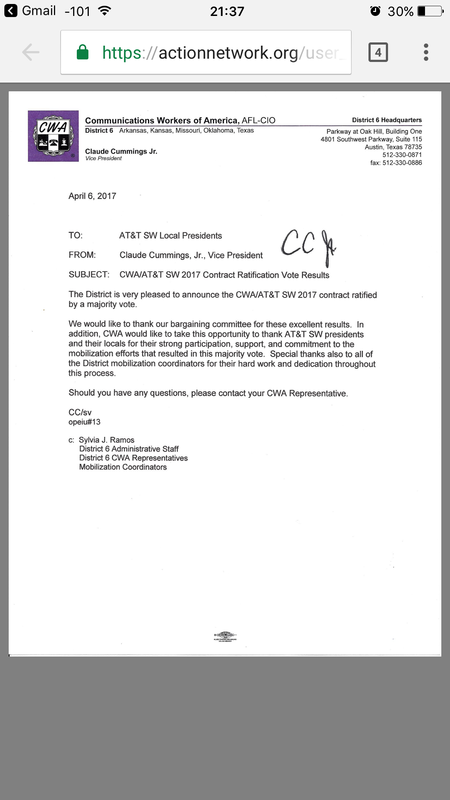 CWA represents 150,000 workers at AT&T.